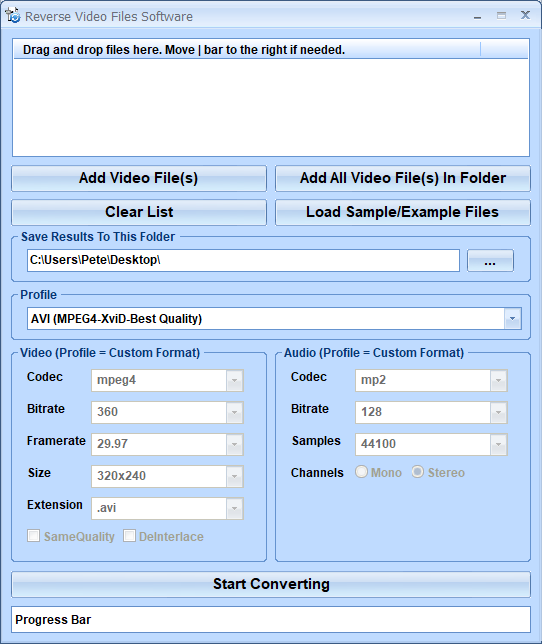 Reverse Video Files Software offers a solution to users who want to reverse multiple video files. Before starting the conversion,the user chooses the files or an entire folder for processing. Using this timesaving software, a large numbers of videos can be reverse quickly with just one click. Reverse Video Files Software is backed by a 30-day money back guarantee. If you are unhappy with the product, simply fill out the electronic form for a refund.